Photograph of wood and glass cabinet full of art supplies for trade. 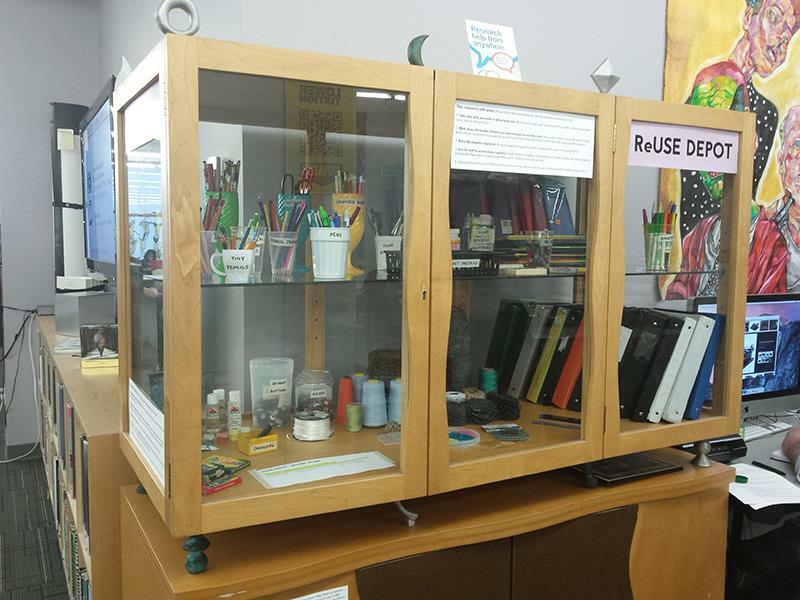 Visit the self-service ReUSE Depot cupboard (for drawing tools, paints, sewing materials and other small tools) or ask a Learning Zone staff member to gain access to the secondary ReUse Depot storage space (for larger items such as newsprint pads, sheets of paper, frames and more). Please note down the number of items you have taken or donated on the record of use sheet, so that we can understand the effect or success of this project. 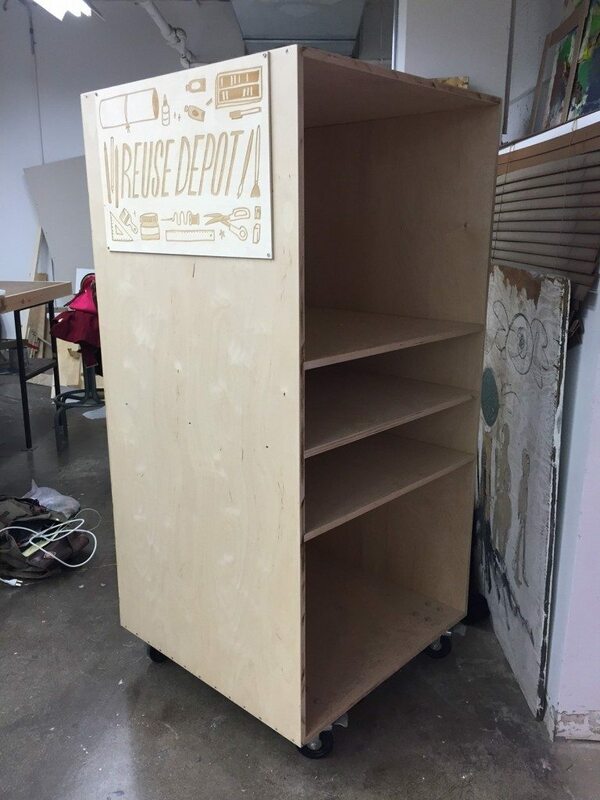 Note on donations: We will accept any art & design supplies that are still in usable condition. We do not accept donations of books, clothing or hazardous waste. 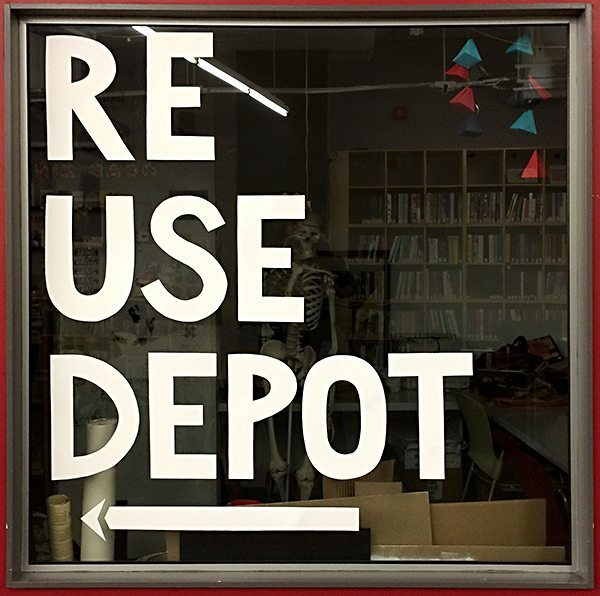 ReUse Depot is a collaborative partnership between the Indigenous Visual Culture program (INVC), the Library’s Learning Zone, the Office for Diversity, Equity & Sustainability (ODESI), Facilities Planning & Management and Student Management. The development of this project is also supported by the First Generations program, IT Services & AV Loans.